After much consideration, I decided to pour a mulligatawny soup (found in Waitrose, by Duchy Originals) over some Veetee basmati microwave rice! EUREKA!!! Healthy lunchtime curry, ready in 3 minutes should you have a microwave. Pukka. I had the soup a couple of weeks ago and pondered at the time that the soup was of a nice thick consistency. It’s almost like daal and rice? 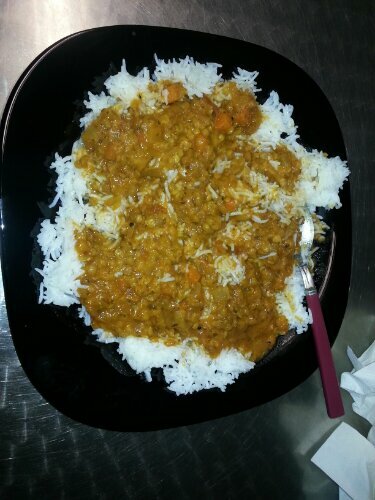 This entry was posted in Food and tagged basmati rice, Duchy, mulligatawny curry, originals, veetee, Waitrose on January 22, 2014 by Kevin.